The State Attorney’s Office announced Friday a grand jury indicted Zephen Xaver on five counts of first-degree murder in the killing of five people in a SunTrust Bank. On January, 23, a gunman opened fire inside a SunTrust bank in Sebring killing five people before he surrendered to a SWAT team. Xaver, 21, of Sebring, was arrested after the shooting at the bank, located at 1901 US 27 South at Tubbs Road. The State Attorney’s Office said they will be seeking the death penalty in the case. 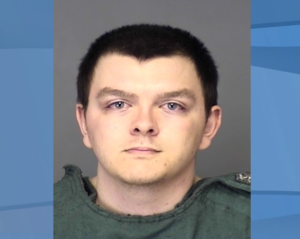 Zephen Xaver, 21, was arrested after allegedly shooting and killing five people at SunTrust bank in Sebring. Mug shot via Highlands County Sheriff’s Office. Xaver was employed as a correctional officer trainee at Avon Park Correctional Institution and resigned two weeks ago, according to Patrick Manderfield, Press Secretary for the Florida Department of Corrections. Manderfield says Xaver was hired by Avon Park Correctional Institution on Nov. 2, 2018 and resigned on Jan. 1. Xaver had no discipline while employed with the department, according to Manderfield. According to the Sebring police, Xaver called 911 around 12:37 p.m. to tell dispatchers that he fired shots inside the SunTrust bank. Xaver’s next court date for arraignment is on February, 25.